How big is Win Cake? 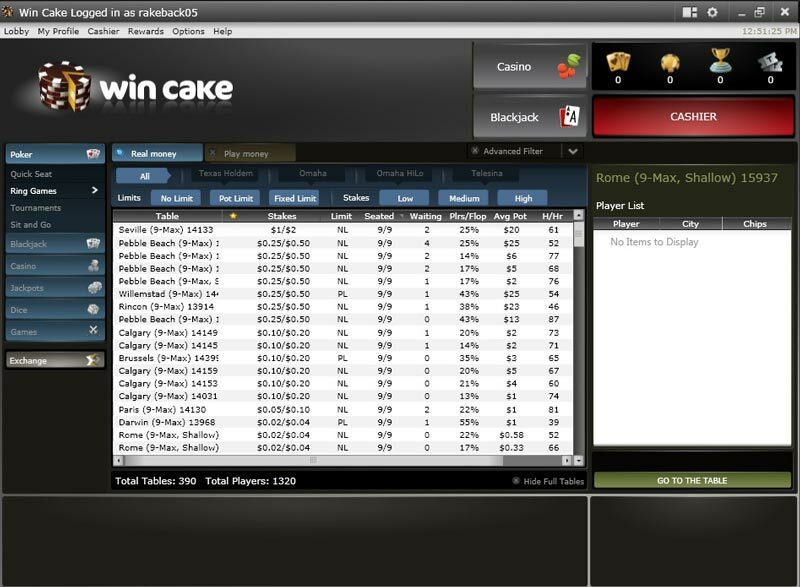 Win Cake has an 1,200+ average online player pool and is an obvious choice for serious players. Cake is on an international network where American players are still welcome which is an added bonus for everyone. 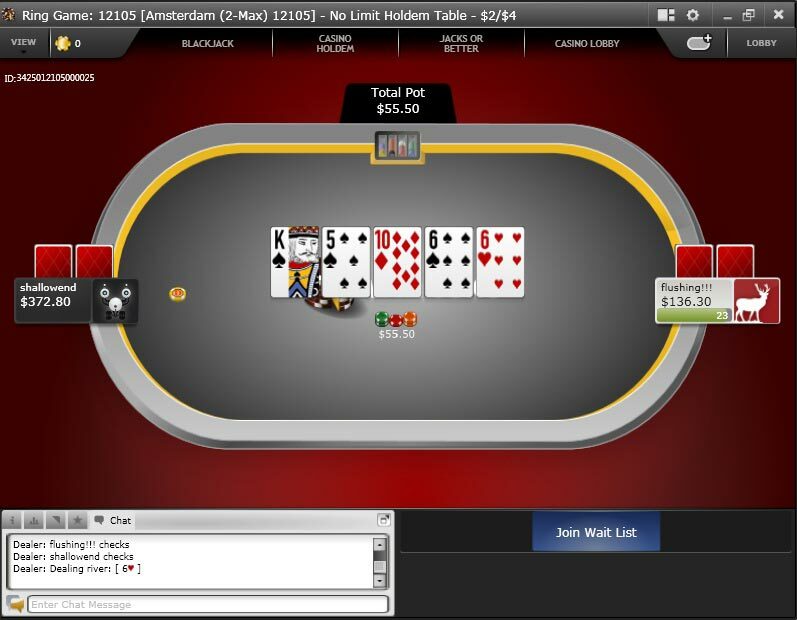 With flat 36% rakeback at Win Cake, small players can earn as much as big players. Indeed, four $100 NLHE tables for two hours a day will earn you $631 a month. All players at Win Cake can earn up to 36% rakeback. By logging in at Rakeback.com, everyone is qualified for the Win Cake rakeback program. Simply use the Signup Code RBCOM and enjoy 36% rakeback. Players from the United States are not allowed to play at Win Cake. Win Cake rakeback is equal to 36% of the total rake that players generate while playing. 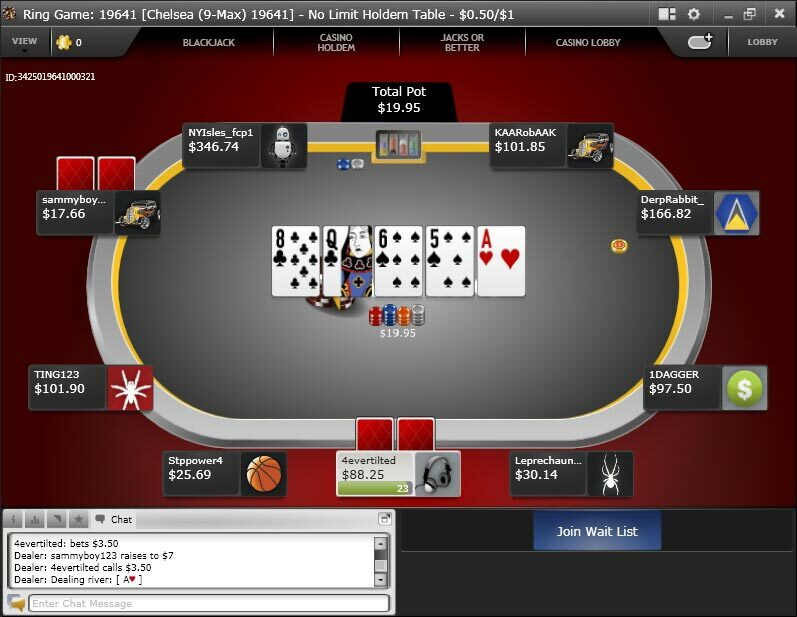 This includes all fees paid to the site during real money play in cash games or tournaments. For example, if you paid $200 over a period of time, your Win Cake rakeback for that period would equal $72 (36% of $200). Although a Loyalty Levels rewards program exists at Win Cake, using it negatively impacts the amount of your rakeback payments. The maximum Win Cake rakeback is acquired by ignoring the Loyalty Levels system and simply accepting the 36% payments. Payments due for Win Cake rakeback are paid once a week directly to your account- you don’t need to do anything to receive them. Once the funds are in your account, they are available for you to use. Payments are made on Wednesdays for all play from the previous week. Aside from the 36% rakeback, there are many other promotions new players can enjoy at Win Cake. Upon the first deposit, new players will receive a sign up bonus up to $2000. Players are also entitled to an entry ticket to join an exclusive $500 freeroll. All existing players can participate in a $1,000 freeroll held weekly. 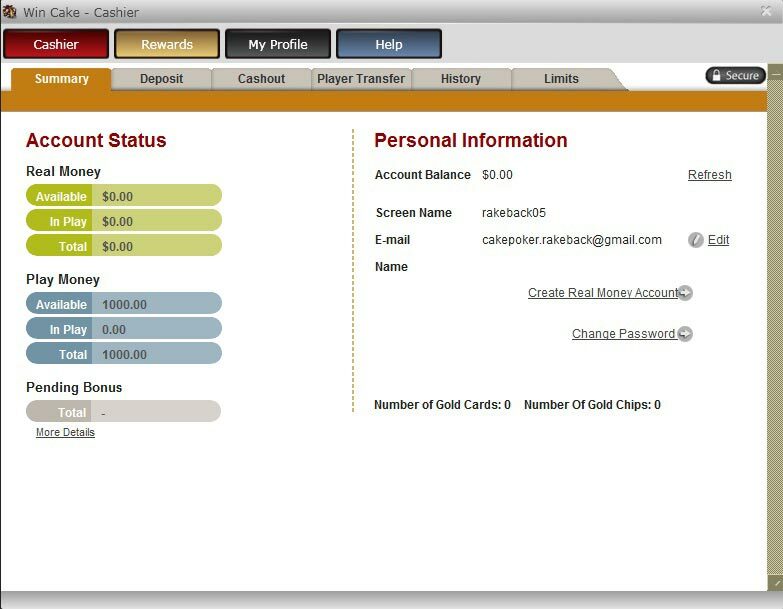 At WinCake.com, there is also a rewards program called Gold Chips & Gold Cards. Players can use the Gold Chips to exchange for cash, merchandise, or entry fees at tournaments. Players accumulate Gold Chips from the rake contribution and tournaments fees that they pay. For the Gold Cards, these are generated when you join games that involve cash or real money. There is no particular player skill required since Gold Cards are awarded to randomly selected players from the cash games poker rooms. Players just need to virtually accept the Gold Cards in order to earn them. Poker tables with professional players – play the people you see on TV! Players signing up through Rakeback.com with Signup Code RBCOM get 36% Win Cake rakeback, sign-up bonus, access to promotions, and daily updated Rake Tracking.